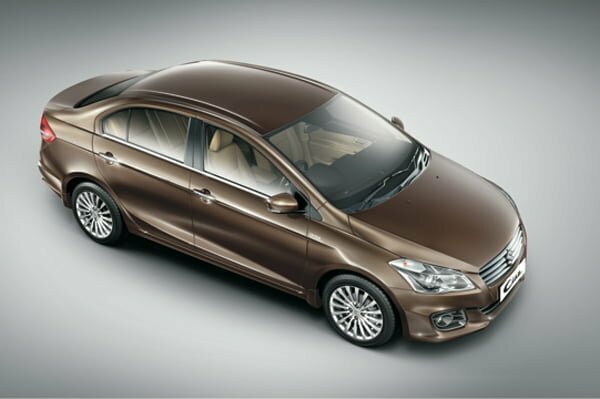 The Consumer Affairs Ministry is going ahead with a law-suit against Maruti Suzuki for unfair trade practices with regard to the pre-bookings of Maruti’s new mid-sizes sedan, Ciaz. The complaint comes from ex-railway minister, MP Dinesh Trivedi who apparently received several complaints for the public with regard to the same. The Company allowed customers to pre-book their vehicles without a proper unveiling or making the specifications and price public. This will come under the purview of the Consumer Protection Act that goes against this practice. Under the Consumer Protection Act the consumer has “the right to be informed about the quality, quantity, potency, purity, standard and price of goods.” The letter by Manoj Parida, Joint Secretary at the ministry addressed to Chairman and Managing Director of Maruti Suzuki dated September 23 was reviewed by sources. It was the contention of the Ministry that the way the pre-bookings were allowed, it is clearly a case of “unfair trade practices” specially in today’s modern world where everything is kept transparent. The biggest car manufacturer in India, Maruti Suzuki has been asked to provide clear pre-launch booking schedule. The Ministry is giving a chance to the company to explain why they should not go ahead with the suit under the Consumer Protection Act (1986). Maruti Suzuki spokesperson defended the trade practices as they believe that the pre-bookings accepted is in “no way an unfair trade practice” most certainly “does not violate consumer rights.” Sources reveal that the booking is absolutely voluntary in nature and customers are free to do according to their discretion. In an email to a source, the spokesperson mentioned that Maruti Suzuki takes a token amount which shall be later adjusted against the price of the car when purchase takes place. Moreover, all pre-booked customers can cancel their bookings if neeeded in which case the accepted token amount will be returned in full. Several other car manufacturers in India such as Mahindra&Mahindra who used the same strategy to rope in customers for the new Scorpio refused a comment. Other car makers like Honda with regard to Mobilio and Amaze, Hyundai with i10 Grand and Tata with Zest have also allowed pre-bookings without the proper specs and price being revealed. Although this practice does put the customer in a weaker position, experts believe that the ministry may not have a solid case. If a customer files a suit against the company, then it can be taken up in court. The complaint filed will also have to prove clearly that the norms of the trade and government were not followed.